PRACTICE AND IMPROVE YOUR SPOKEN ENGLISH! 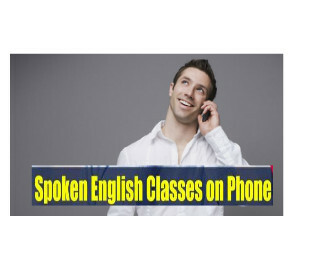 I guarantee great improvement in your English speaking skillsthrough phone classes as you would encouraged to speak in more and more and the more you speak the better your English. There will be Frequent short lessons which are better than long lessons you don't have to go anywhere for lessons. You can even take a lesson during a lunch break! My classes will focus on grammar, fluency and confidence level. I assure you Intensive practice of Spoken English and vocabulary building. We will have discussion on real topics I will correct you and give you tips. Try to find 30 minutes free before work, at lunchtime or in the evening? Take lessons whenever you want. I will work with you personally, 1-1, over the phone because each lesson will be specific to your needs, you will learn practice and improve. I will call you at your preferred timings------------ we will have discussion on real topics------------- I will correct your mistakes give you grammar tips enhance your vocabulary ---------------------------- rigorous intensive 30 minutes class will improve fluency.